I am happy to add my recommendation to others who have gone before me. However, don’t expect amazing surroundings. Tucked down a side street just off the Patong beach road, Phuket, Thailand, Sabai Sabai is an unimposing little restaurant, with very reasonable prices. A lady by the name of Gan runs this establishment, which is very highly respected by Aussies, Kiwis and South Africans, judging from the posters of gratitude adorning the walls. Plastic tablecloths don’t reflect the quality of the food. We had been to another place that had gorgeous tables inlaid with roses, but the food had been disappointing. 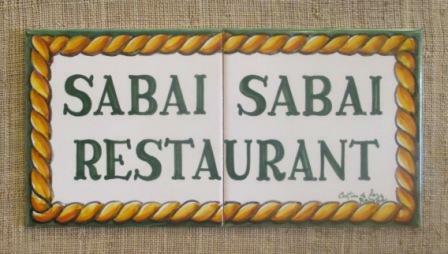 Obviously, if you expect great surroundings AND fabulous food, you will have to look elsewhere and pay appropriately. If it’s just a choice between the decor and the quality of the food, I would choose good food. 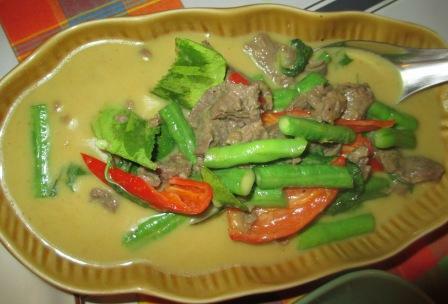 Each of our visits there provided delicious Thai food at reasonable prices. 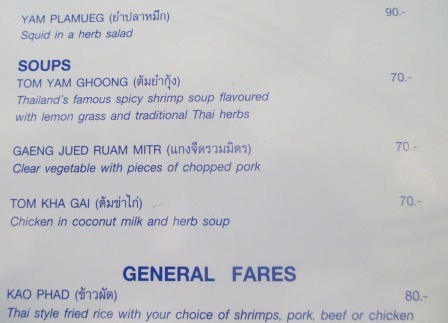 A section of the menu indicates some dishes available. Soup for just over AUD $2 – yummy! 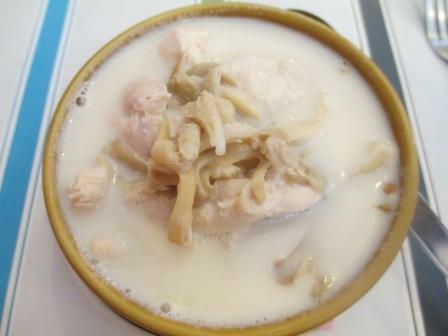 I chose the Tom Kha Gai for my first visit at lunch. 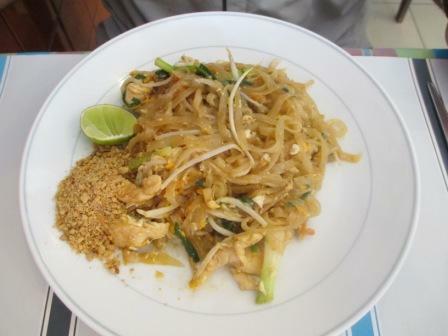 My husband chose the Phad Thai, which was filling enough after our buffet breakfast. 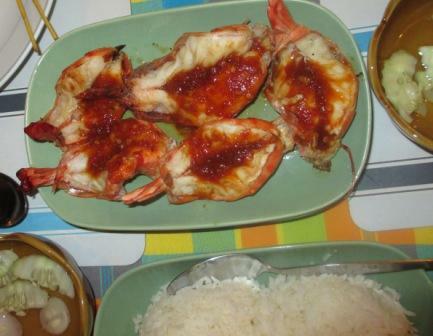 The butterflied Tiger Prawns were enjoyed when we went to dinner with friends, but as we had all had a few drinks perhaps we didn’t appreciate them as much as we should have. The entree, dinner, dessert and drinks bill came to under AUD $18.00 each! Now that’s a bargain. This entry was posted in Food, Thailand, Travel and tagged Phad Thai, Sabai Sabai Restaurant, Thailand, Tom Kha Gai, where to eat in Patong. Bookmark the permalink.